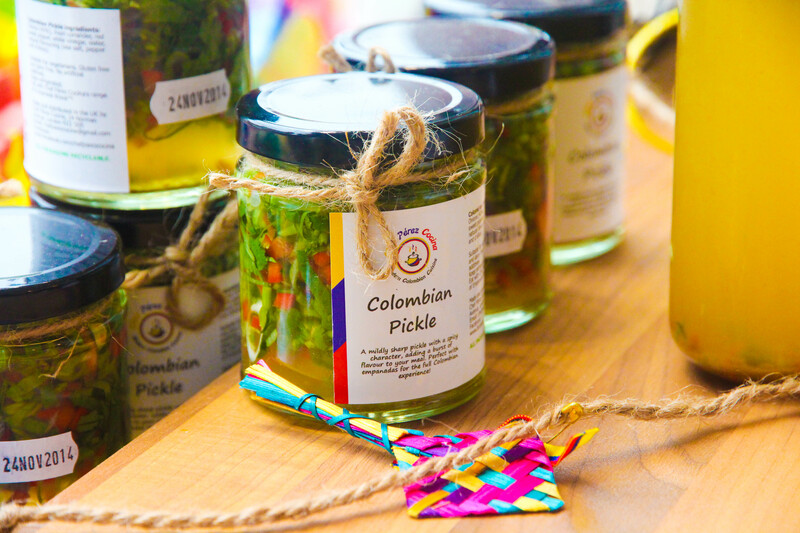 With small markets, pubs, and cafes lined up among Camden High Street, you’ll find the Colombian Street Kitchen at no. 11. This is a new concept by Chef Pérez Cocina owner Esteban Pérez. Chef Pérez Cocina is a catering business specialising in modern Colombian cuisine, with its focus on introducing the unique flavour and taste to the British market. “When working on my business plan, I identified the type of people that would come and try my food,” Esteban says. “I knew that my customers were between 24 to 40 and were usually festival goers who like good on the go.” Knowing who his customers were helped Esteban develop a specific type of food that is new and will be known for its quality. Location definitely helps the footfall and reception of a pop up. After reading about a shop that popped up in the same location in Camden, Esteban knew that it would be a good fit for the Colombian Street Kitchen. “People would come in and tell me, ‘there’s nothing like this in Camden.’” He recounts a time a customer told him he had gotten down off the bus after seeing the shop’s sign while passing by. Insider tip: find out how to reach new customers with our Ask the experts blog post. Social media was a key tool in promoting the Colombian Street Kitchen. “I used my Facebook page to let people know about what’s going on,” says Esteban. Instagram and Twitter were also important in getting the word out. Find out how to make the most of Twitter for your pop up from our experts. Taking advantage of the situation such as location is also vital to running a successful pop up. “I knew people want to try new things, so we did a lot of sampling,” says Esteban. “I’m noisy during the afternoon, so I’d be outside telling people to ‘come inside and try our food’. People I was talking to during the first week were the ones that kept returning.” It’s important to remain consistent in order to have a steady flow of people coming in to visit the shop. If you would like your pop up held at 11 Camden High Street, check out the space or discover more for yourself here. Previous Previous post: Ask the experts – how do I promote my event?